Our family portraits capture you in your home, relaxed and comfortable and we can go for a short walk and be free outdoors. These sessions are for the whole family or just for children, because sometimes it’s just for the little ones. Either way we want this to be time for you to be yourselves and to connect. Our lives can be so fast paced these days, we want to help you slow down and enjoy your time together. Capturing who you are naturally and outside in the elements creates lasting memories and photographs for you to sit and look at for years to come. 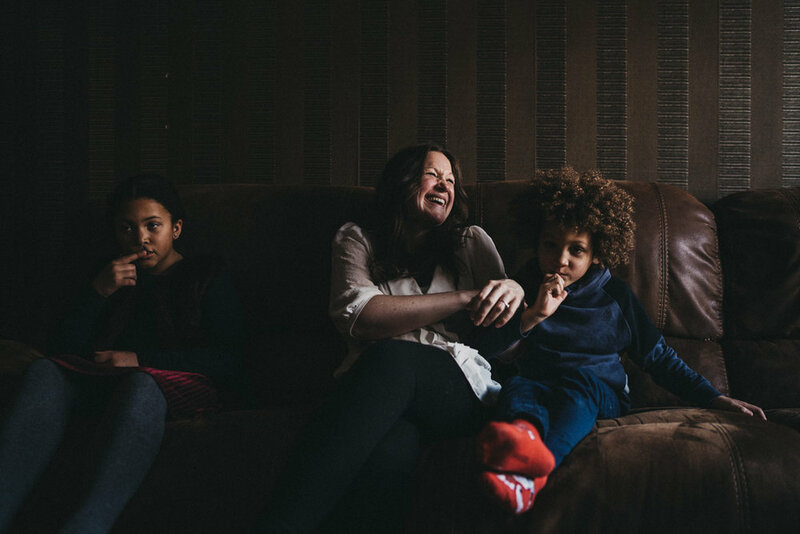 These sessions are a documentary based as in they are aimed at capturing those moments that happen throughout the day that you share as a family. It might be a certain look or an embrace, tears or laughing till there is tears! Whatever it might be these are your everyday and we’d love to be there to capture it. It’s a very informal and doesn’t require any awkward posing together and pretending that you love each other every moment of the day. It’s great to have an activity that you could do together like cooking a meal, playing a game or just being together in your home. It’s not posed but we will help you with directions if your unsure. By the end of it you want notice when the pictures are being taken. We can still take a picture of all you together this isn’t just about documenting the everyday. 2 Hour Session at your home and surrounding areas. Personal online viewing gallery which you can download from. If you like to go ahead and book you can contact us via email hello@meliamelia.com, we can then pick a date which is best for you and then it’s a 50% deposit and the remaining 50% the day of the shoot. If there is any travel added it can be paid the day of the shoot. The images will be edited and delivered to you in 2 weeks of the shoot date. If you are looking for some images for a picture for grandma for her birthday then this is for you. A mini session is just that 30mins of your time in a location close to home or close to us in Ripponden. These images are the more posed shots of all of you together, different combinations or brothers, sisters, mothers and fathers. Portraits of you all if you’d like them then delivered to you via an online gallery for you to download and keep. Travel 15 miles from Ripponden Included. To book it’s a deposit of 50% and the remaining 50% is due on the day of the session. After the session the images will be edited and then uploaded to a personal online gallery for you which you can then view and download. The images are high resolution which are great for printing, low resolution images can also be added to the gallery if needed. Because you’ve got full printing rights you can print as many copies as you like. To book you can email us direct or use the contact form.